Shake Shack whips up the new Pride Shake for a limited time throughout the month of June, which is lesbian, gay, bisexual, transgender, and queer (LGBTQ) pride month. 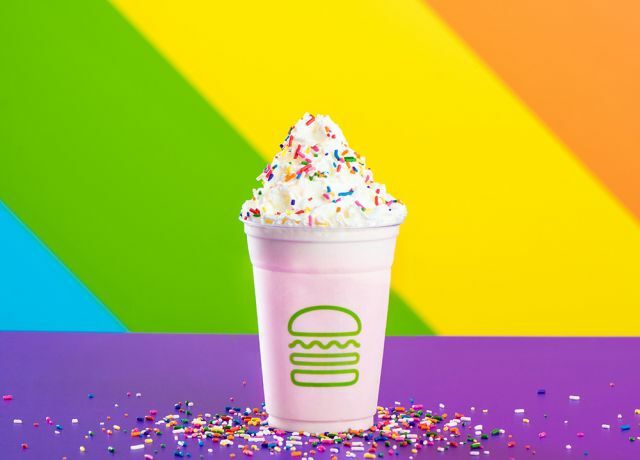 The shake can only be ordered via their mobile app and features a strawberry shake blended with lemonade and topped with whipped cream and rainbow sprinkles. $1 from the sale of every shake benefits The Trevor Project, a non-profit that provides crisis intervention and suicide prevention services to LGBTQ youth.